Listing courtesy of Hilda Porter (CalBRE #00701684), Century 21 Everest. Attention Agents!! 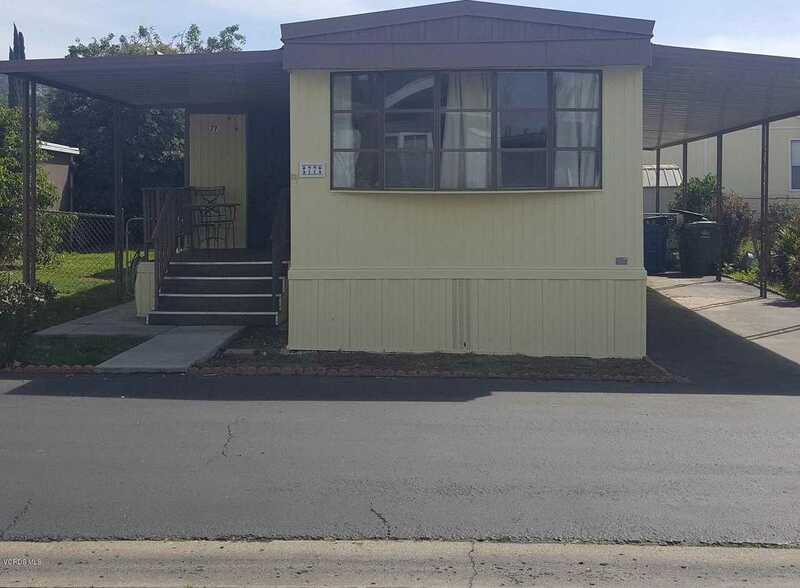 !A Rare Opportunity For Your Buyer(S) To Purchase A New Manufactured Home From A Manufacturer Of Their Choice To Be Placed On A Space Where The Current One Is Considered A ”Haul-A-Way”. For Those Of You Who May Not Know, A Monthly Space For A New Manufactured Home In Ventura County Is Very Limited. This Park Has A Big Plus As It Is A Family Park. Inside This Well-Maintained Park Nestled Among The Mountains Of Simi Hills Are 2 Small Park-Like Settings For You To Relax And Enjoy And Also Only A Few Steps Away From The Pool And Clubhouse. Among This Space That Is Just Waiting For A New Manufactured Mobile Home, There Are Other Newer Ones On The Same Street Waiting For A New One To Join Them. The Lot Space Is Larger Than Most, Has A Grassy Fenced Yard And Is Large Enough To Accommodate A Double Wide With A Porch And Carport.